This study sets out to recover and illuminate the Victorian culture and allusive verbal worlds that inform Charles Dickens's novel "Great Expectations". How distinctive are the story's temporal and topographical settings? How carefully has Dickens integrated Pip's life story with the embedded histories of a mad, jilted spinster, a beautiful orphan girl, an unscupulous con man, a fierce yet tender convict and a brilliant criminal lawyer? What relevance does the "then" of Pip's childhood and the "now" when he relates the story of his evolution into gentleman have to the revised controversial ending Dickens adopted on the advice of a fellow novelist? David Paroissien draws on a range of 19th century sources to illuminate the novel's late Georgian and mid-Victorian contexts: the brutal punishments that characterized Hanoverian England's legal system; the transportation of felons and their rough lives in Australia's first penal colony; the social mobility a public school education conferred on a swindler and forger; the struggle to gain the desired status of "gentleman" among brewers, bakers and a raw yound blacksmith from the country ignorant of the ways of society and its social graces; the genteel city of Rochester, whose quiet nooks and stately historic houses excercised a powerful hold over Dickens's imagination; the nearby Hoo peninsular, with its lonely marsh villages and picturesque churchyards; and the changing face of early 19th century London, with its Inns of Chancery and Inns of Court, the vibrant life of the Thames, where watermen struggle against steamers as technological changes brought the old and the new face to face; and the river's lower, deserted reaches, bound by mists, marshes and tidal flats, which serve as background for the novel's brilliant menacing opening. Paroissien's passion for finding the illuminating detail and for getting the detail right is evident. ... readers will find Paroissien's companionship rich in research and of breath-taking fullness. 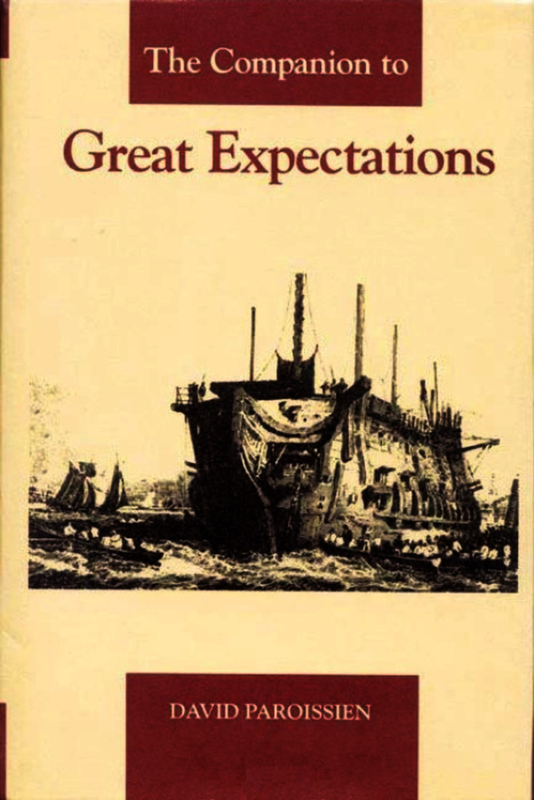 Thorough, well-considered, clear, incisive and complete, the Companion to ‘Great Expectations’ gives readers everything needed for its full appreciation. It is a comprehensive and enjoyable work of reference and scholarhip about Dickens as well as the novel, precisely mapped and illustrated. It takes the student through the novel’s origins, completion, dense allusions, and what Graham Greene calls its ‘secret prose’. We are shown it directly: written about an earlier period and addressed to its time. The book will be particularly useful to those who teach ‘Great Expectations’ as a set text, and who need to field all manner of questions relating to the Victorian way of life and Dickens’s use of slang, topical references, literary allusion, and so forth. It is a mine of interesting information in its own right, scrupulously sourced, and read in conjunction with the novel, will prove a valuable corrective to the tendency to over-theorise readings of the text, at the expense of understanding its socio-historical context. The Companion to Great Expectations will remain a landmark study for students of the novel, for many years to come. David Paroissien is also the author of 'The Companion to "Oliver Twist"', also in this series. He co-edits the series with Susan Shatto and until his retirement in 2001 taught English literature at the University of Massachusetts, USA.